So many people can’t wait for the day that they can create their dream pool. Are you ready? 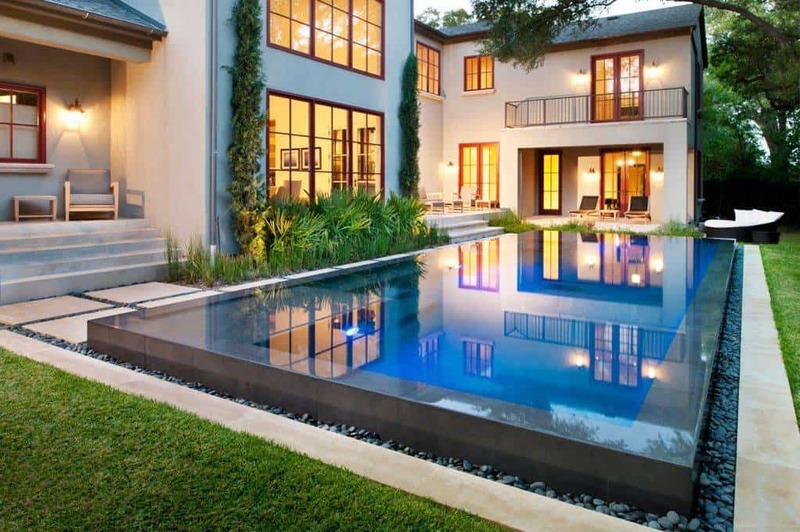 We know that designing a pool or remodeling an existing one comes with a good deal of planning. What do you want it to look like? What should the pool deck be made of? There area so many things to consider, but don’t get lost in the details. We want to help you come up with the best design that will work for you. You are the one who knows what your spacing requirements are and you know how much you want to spend. Now you just need to come up with the best design plan. We’ve gathered 33 ideas for you to look at. Take some notes and get planning. This pool has a great surrounding concrete pool deck that includes a hot tub for those relaxing sessions that are so valuable. Like a professional and relaxing spa, this pool is surrounded by natural looking stones an spills over one side for a great effect. 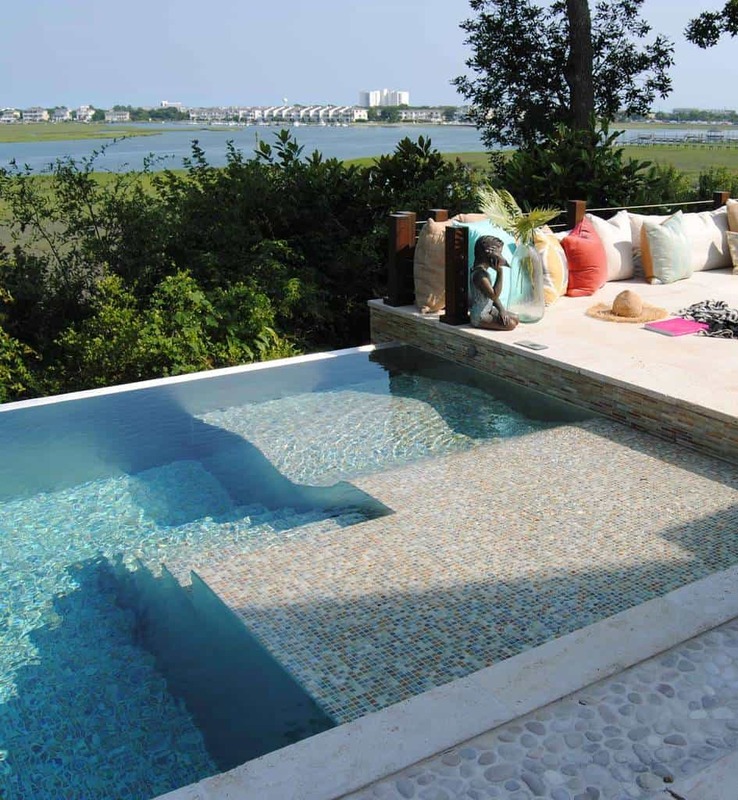 This infinity style pool has great steps under the water for easy access and has great decor around on the pool deck. Set the mood with candles around the hot tub and spend the night in and out of the relaxing water. This tub is surrounded by great furniture on the deck. This pool becomes a part of the backyard landscape. 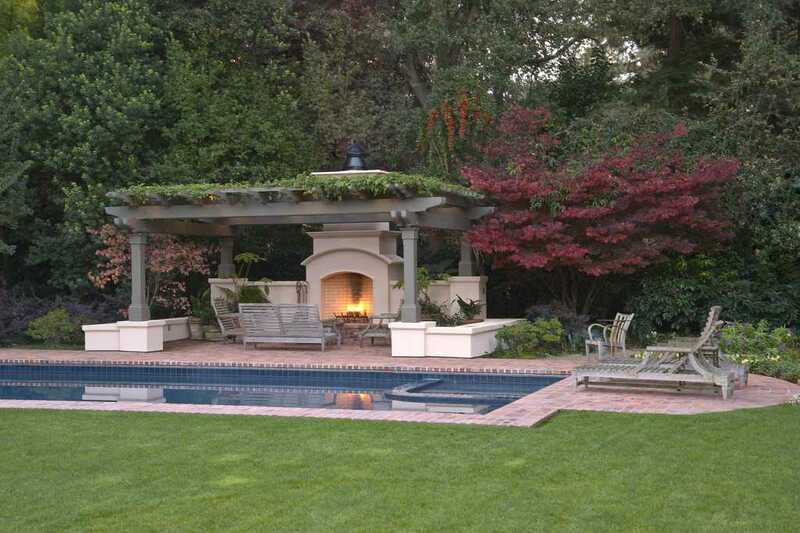 With the pool build right into the yard and surrounded by grass instead of concrete, this area is very relaxing. 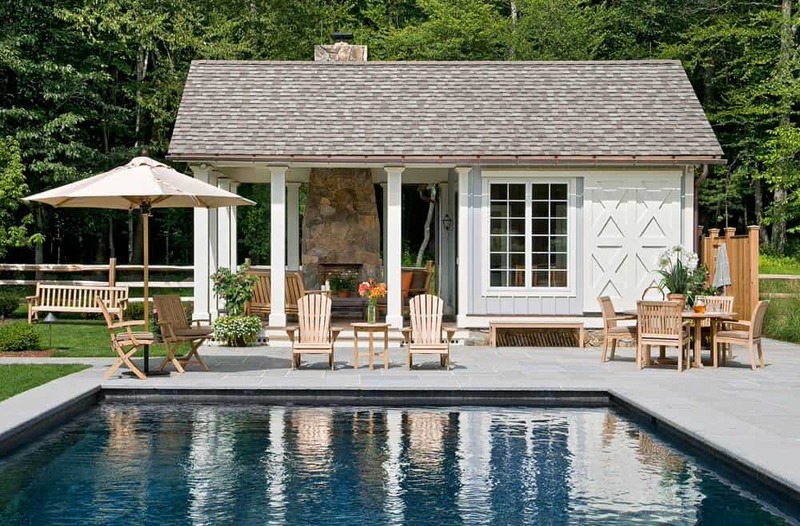 Like a quiet country area, this pool and surrounding concrete deck and pool house have a quaint charm anyone can relax to. You can plan an entire day around this pool area. 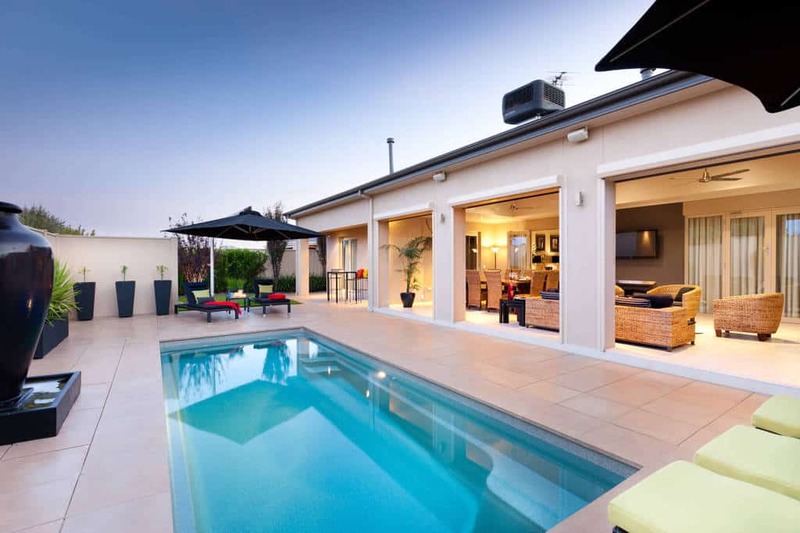 The pool is large and welcoming and has plenty of surrounding space for fun. This indoor area is relaxing and will allow you to do laps in complete peace. 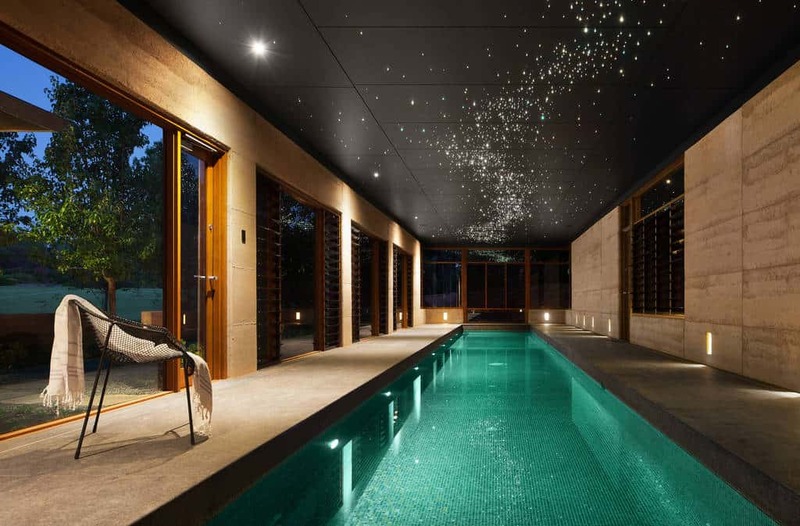 The ceiling glows like the night sky for a calm sense of style. This pool is created around a great outdoor shelter built with a stacked stone design. 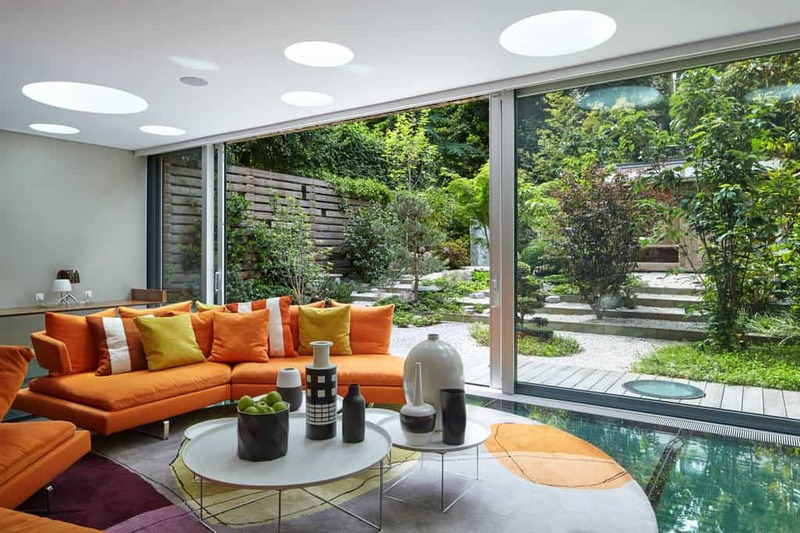 The yard becomes part of the design beautifully. 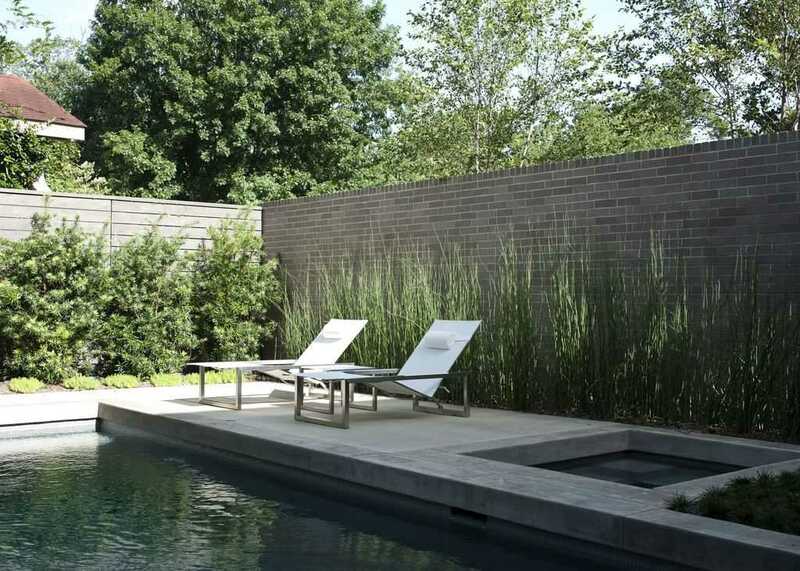 With a great modern fountain pouring into the water, this pool has the length to allow for laps or relaxation. This pool area has a hot tub as well to add to the days and nights of relaxation. Surrounded by high walls, this is a private space. 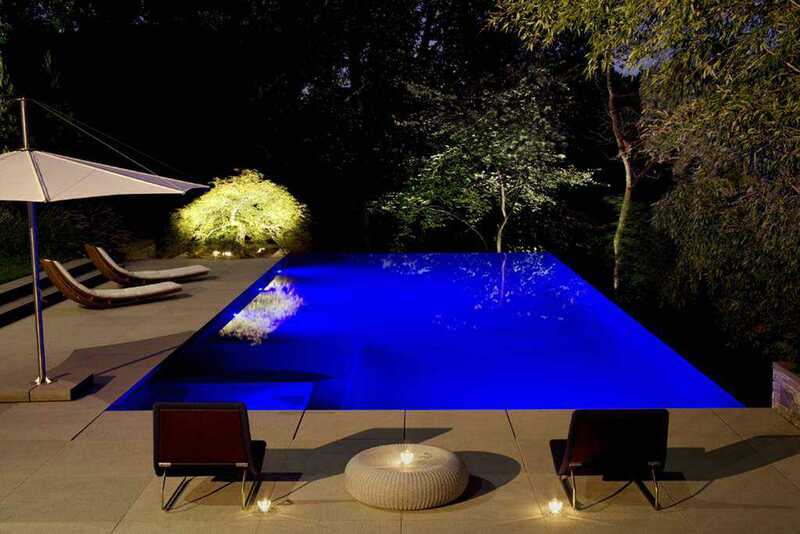 Sure, this pool is fun during the day, but look at how it shines blue at night. This infinity style design is simply elegant. 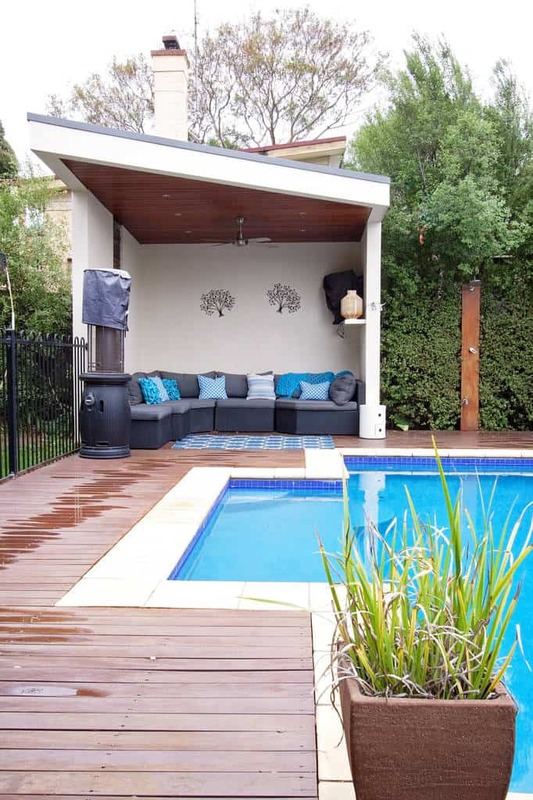 With a hot tub area inside this pool, you can ensure all your needs will be met. Grill out and spend the whole day here. Plenty of places to relax inside of this pool. The flat and glistening waters have character that shines from the bricks used below. 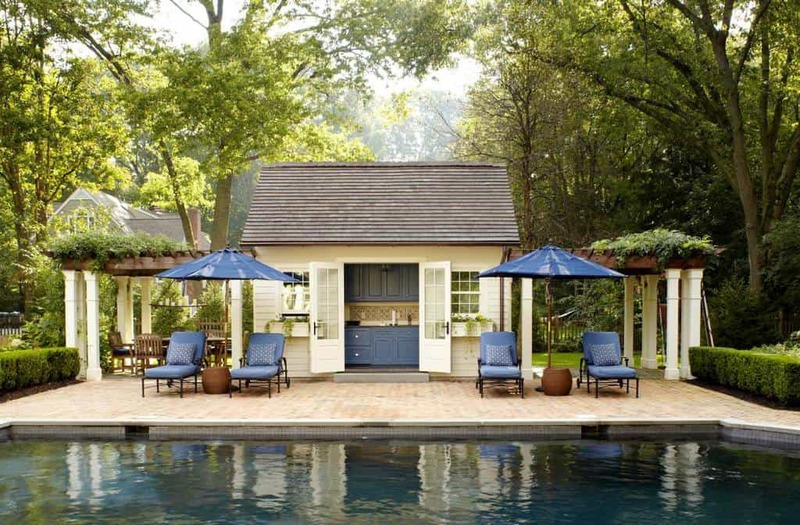 This pool has a great shaded overhang at one end so you can relax when the sun gets high. Jump in this pool and swim the length. Design your pool around a natural waterfall design and you will be rewarded. This space will leave you calm and relaxed. The space behind this house is almost all pool. 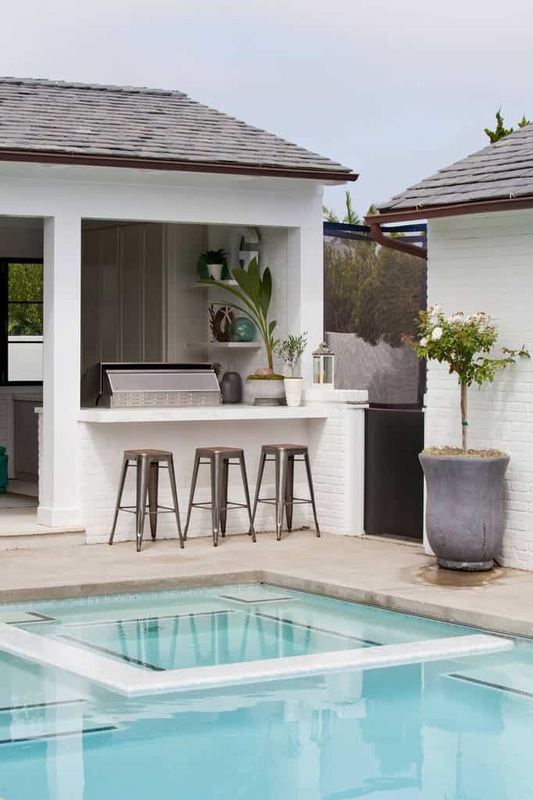 This blue space is surrounded by great decor and you can get into the pool by simply stepping out of the house. This dark hardwood pool deck give this area a great luxury feeling. It is unique and stylish, and contrasts well with the bright water. Form the outside entertainment area to the pool, this area will provide a good time. The pool is surrounded by great decor that will please the eye. This pool has a hot tub built on the side so you can choose your relaxation style. Surrounded by a view to die for, you will spend hours out here. Not all pools have to be squares and rectangles. This pool curves around and has stones for a natural look. This pool is surrounded by a great wooden deck that leads right to a covered and comfortable area. 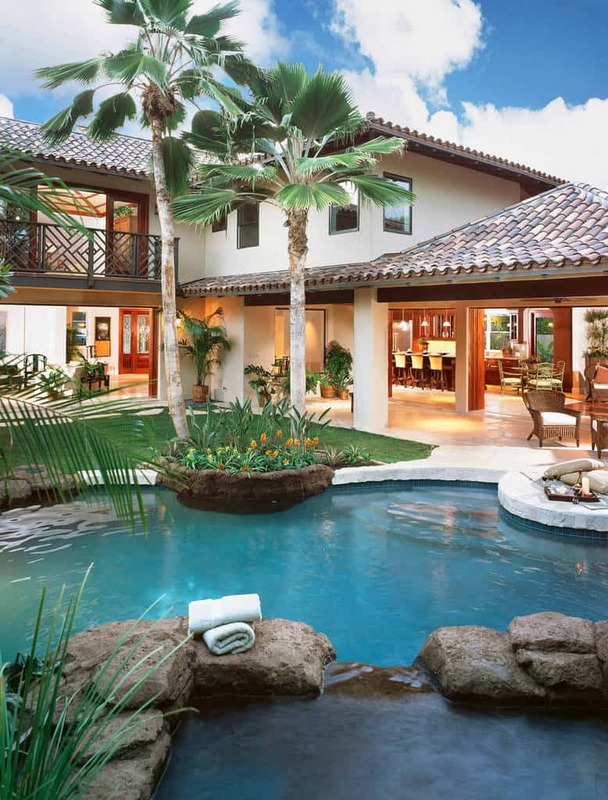 Like a European villa, this pool takes up the courtyard in the middle of this house. Have a meal by the pool then jump in for a swim. This indoor pool area gives you options. Take some time and make some drinks and sip them on the couch. Just know that the pool is waiting. 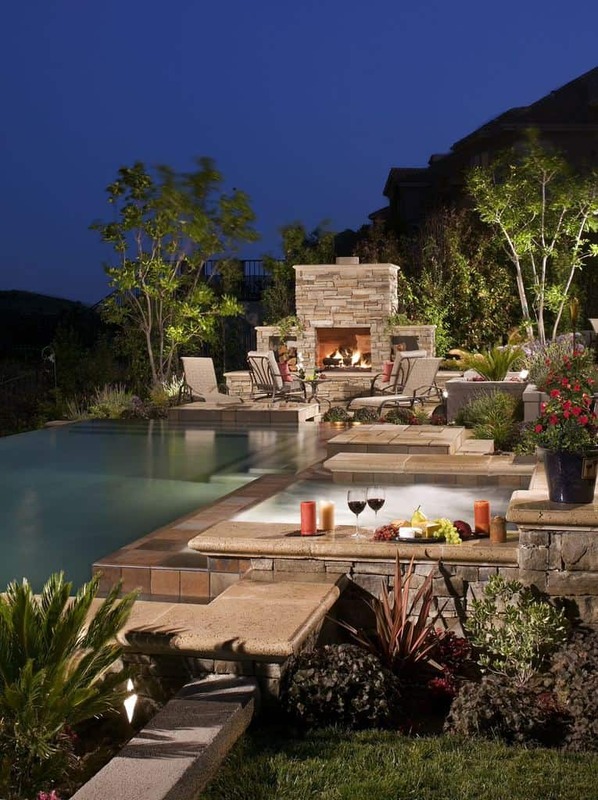 Photo by AMS Landscape Design Studios, Inc.
Have a drink and some snacks by the hot tub then jump into this infinity pool to spend your night swimming. A brick pool deck is sometimes a great option to blend with the surrounding decor. This pool area is calm and relaxing. 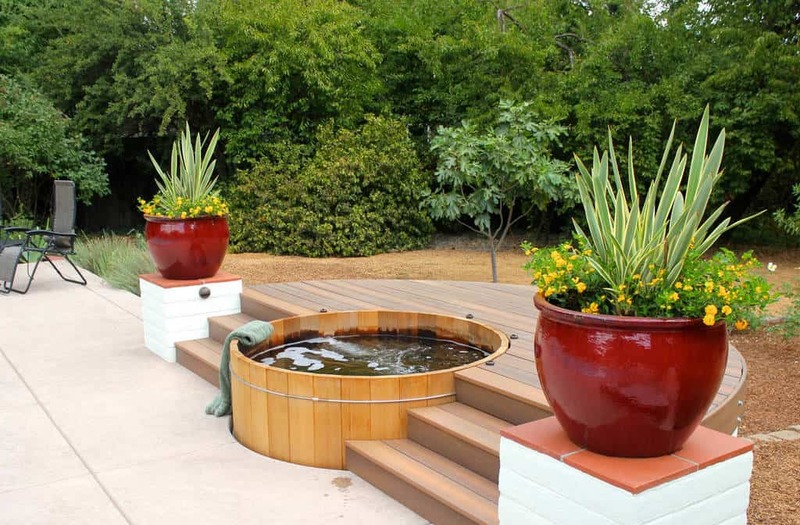 Like a large barrel straight out of a country setting, you will want to spend countless hours inside this hot tub. Make the pool area look natural and give it character. This natural stone design and landscaping add to the ambiance. The fountains finish for a great effect. 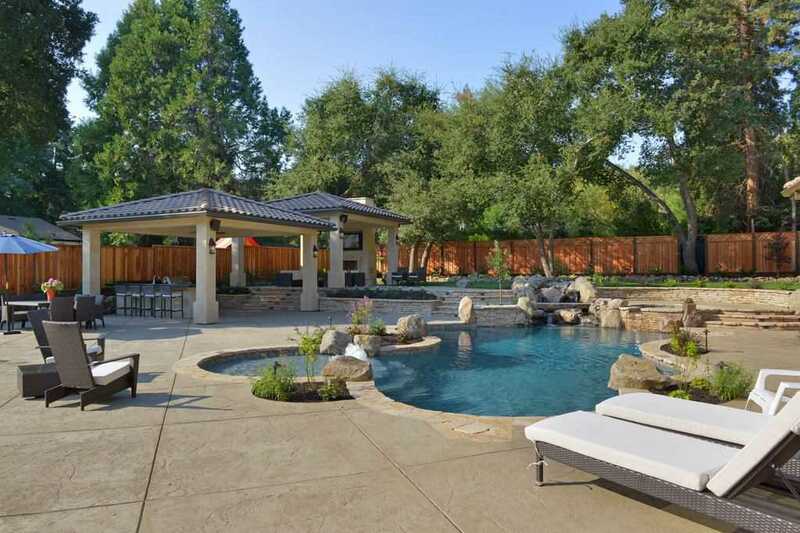 Swim in this relaxing pool then relax by the fire pit. 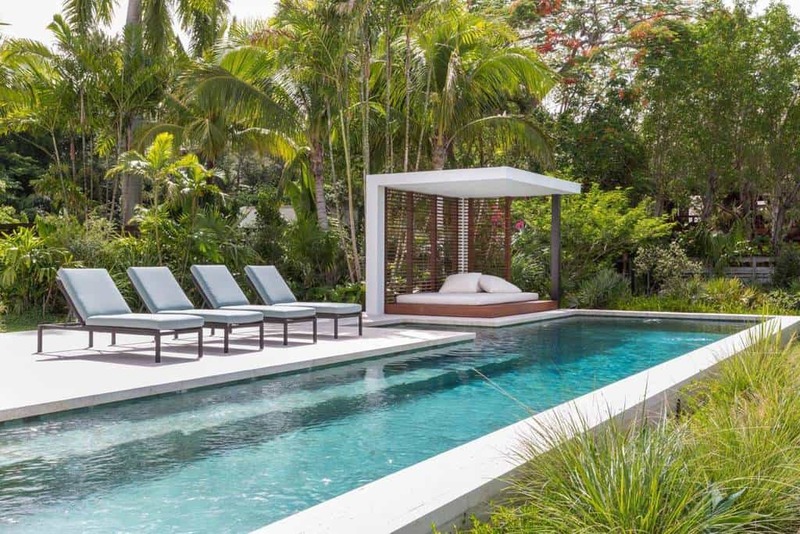 The sleek stones used for the pool deck add a smooth charm to the area. 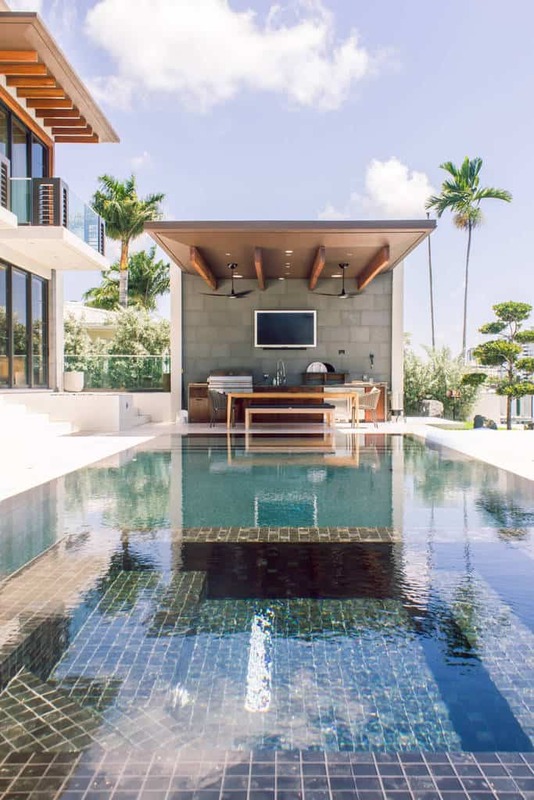 With plants around and growing up the architecture, this pool area creates a welcome that will have you hesitant to leave. You have all the tools you need to spend the day here. Curvy and natural are always great options for a pool design. This tropical space will entertain you and your friends for the night. 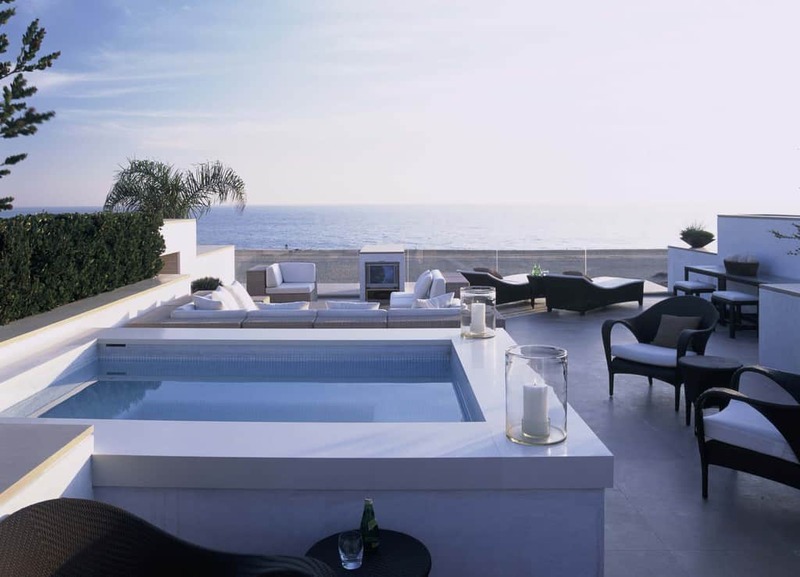 With a luxurious raised up infinity style pool, this area looks like it belongs in a movie. 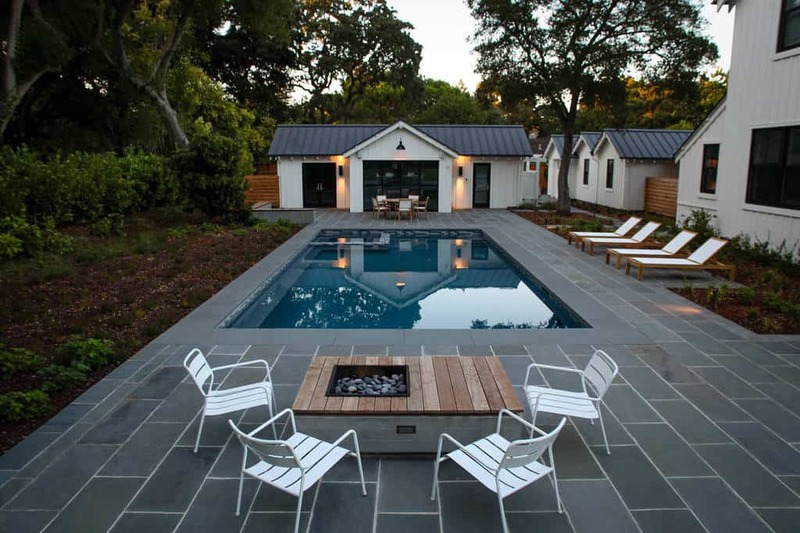 From the landscaping to the pool design, this space could be your next design. Taking a scene from a relaxing spa, this pool area will successfully relax you for as long as you stay here.